Mackay's only locally & independently owned hearing service. We are 100% committed to improving hearing health across our region. We take the time to fully understand your hearing and lifestyle needs. We offer products with cutting edge technology that are proven to be effective in our humid tropical environment. We offer a range of hearing aids to suit all tastes, budgets and hearing loss in various styles, colours & models. Your journey towards better hearing can commence today. At Mackay Hearing, we listen - so you can too! hearing health across our region. Treating hearing loss and auditory processing issues is easy and non-invasive – and we are here to help. Your journey toward improved hearing can commence today! 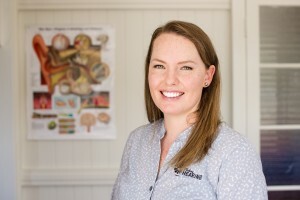 Jodie Miles, our Principal Audiologist, is passionate about providing high-quality health-focused hearing services in Mackay and throughout our region. Jodie has over 12 years experience in both government and private hearing clinics in Mackay. Mackay Ear Nose and Throat Specialists – Local Otolaryngology practice. Services provided by Dr Luke B. Reid. Hearing Matters Australia – information and support for hearing impaired people who primarily communicate through speech.